Baikinman template as per request. 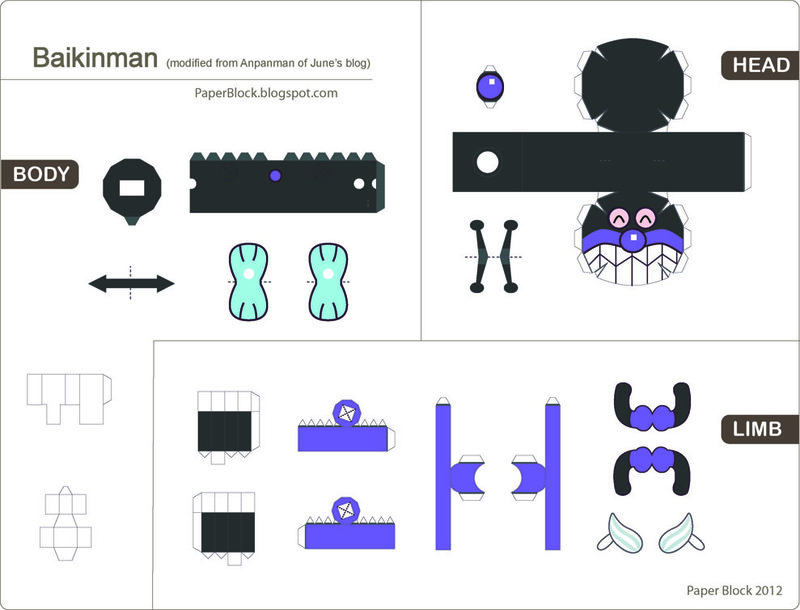 Once again, the layout was modified from the Anpanman papercraft from June's Blog. Thanks for the support :) I've been busy with another project lately. There soon be some updates.